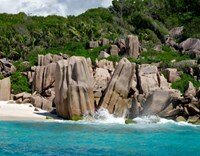 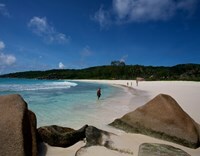 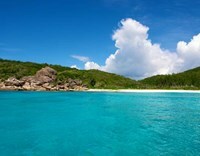 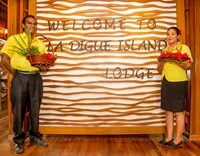 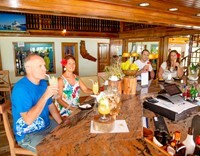 La Digue Island Lodge is one of the most unique and vintage establishments of Seychelles. 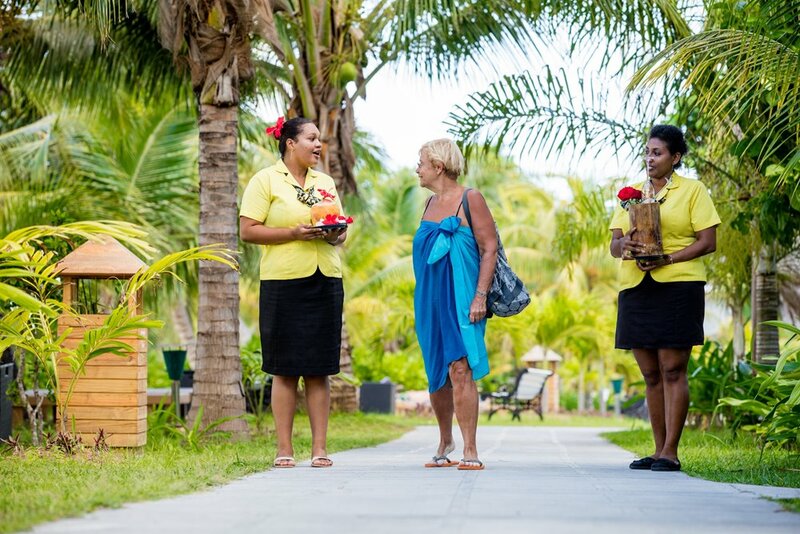 Surrounded by a lush green environment and a private stretch of beach, over 17.51 acres of sprawling grounds at Anse Reunion, the hotel is a time-honored establishment with its iconic Yellow House. 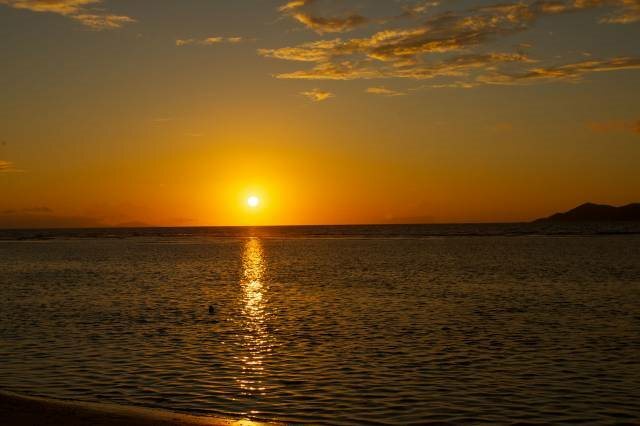 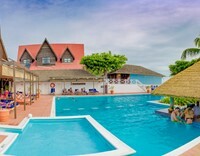 The seafront boasts a magnificent vista of the neighboring islands and beautiful crystalline waters where colorful sunsets paint the skies on a daily basis. 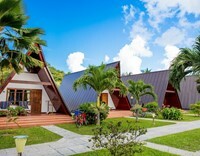 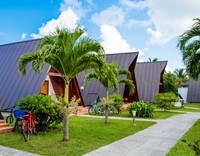 The Lodge offers a variety of unique accommodations from our famous A-Frame beach and garden chalets to other comfortable categories of rooms. 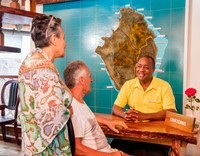 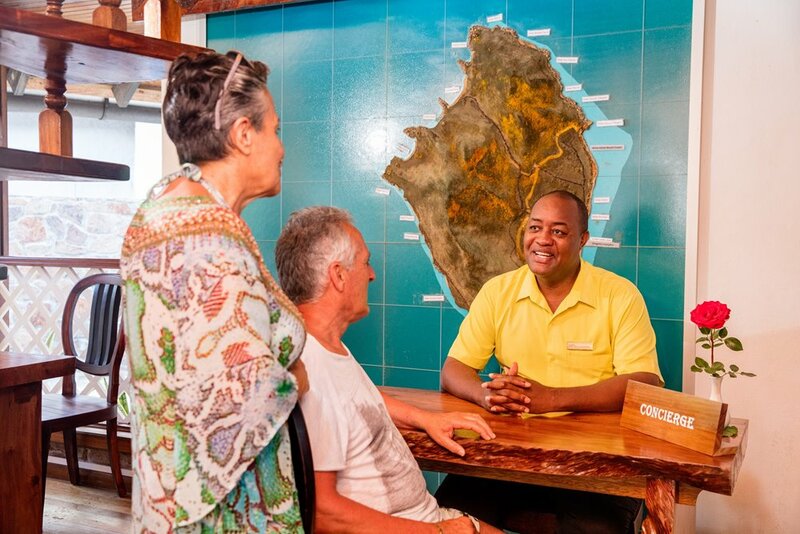 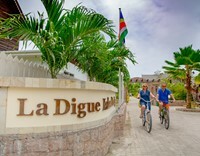 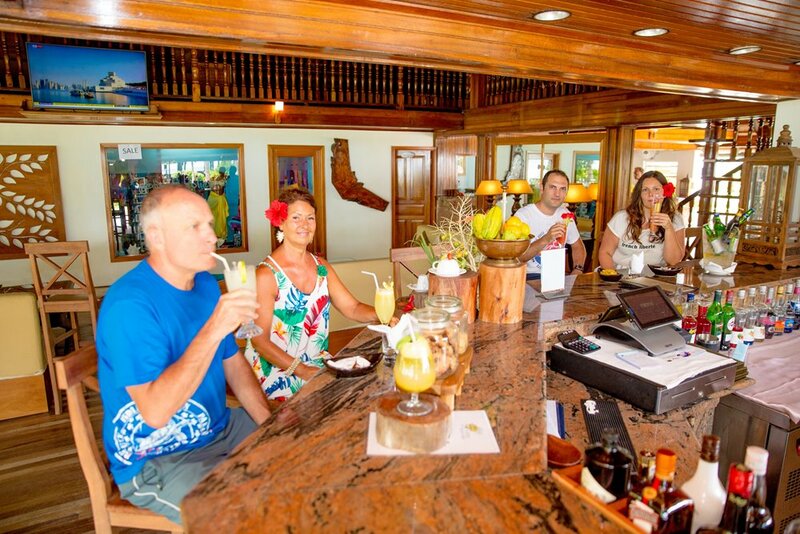 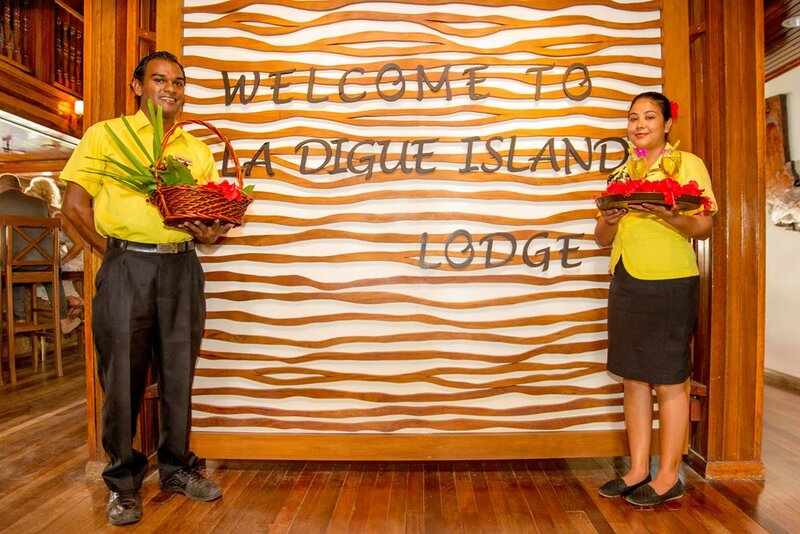 Our legendary hospitality starts from the minute you step on La Digue with our greeting team welcoming you at the jetty – we provide complimentary transfers in air-conditioned mini buses to all our guests. 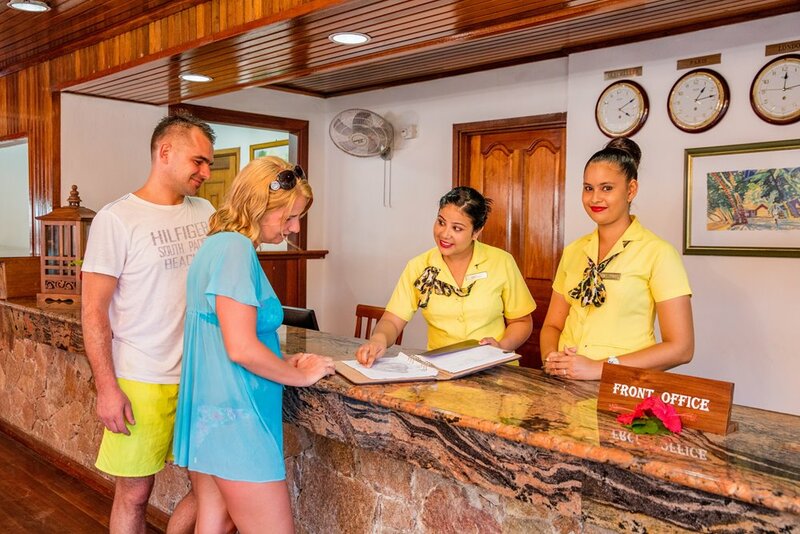 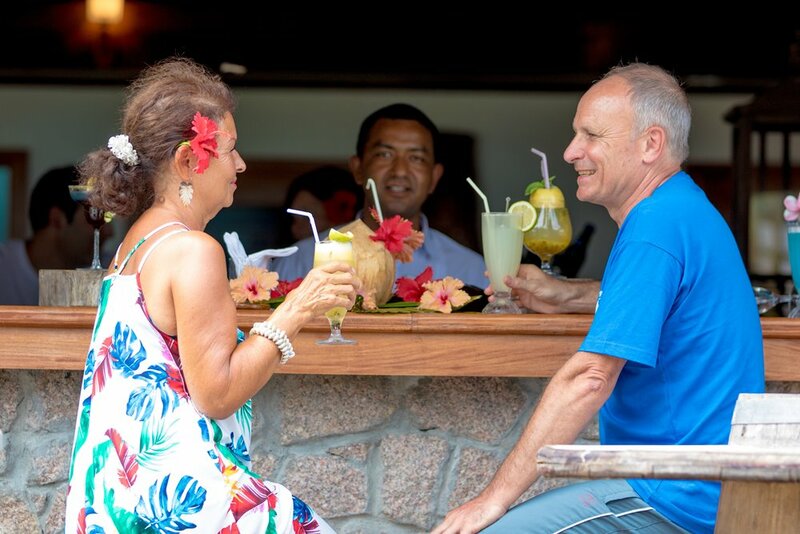 Our staff is always at your service in the most discreet and efficient manner with a charming smile to make you feel right at home with true authentic Seychellois hospitality. 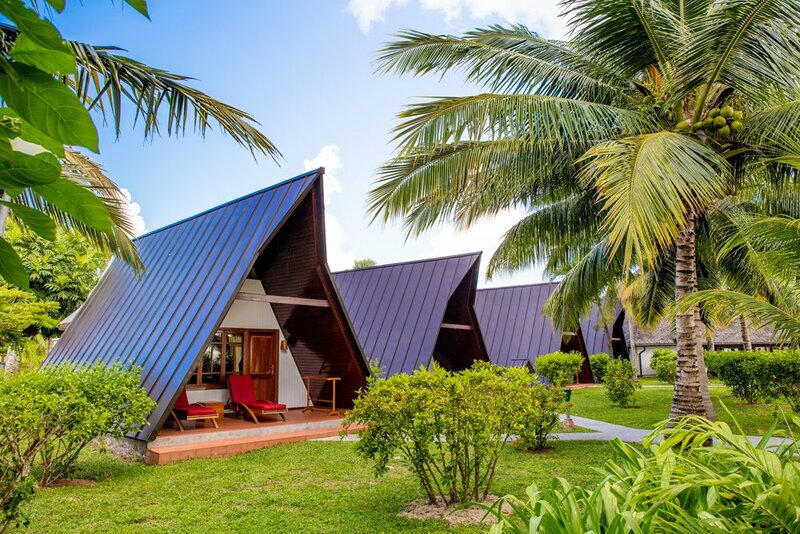 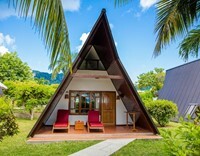 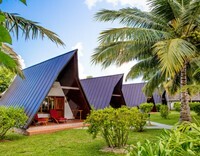 The A-Frame chalets are the hotel’s distinctive, signature style steeped in history. 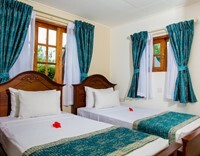 They have all been recently renovated with new attractive features. 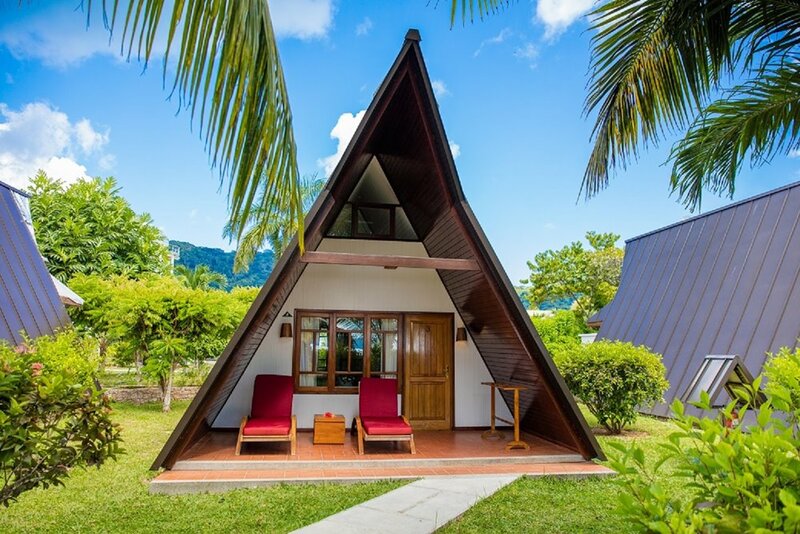 Situated along the beach and in the seclusion of the garden, the detached chalets provide ideal accommodation for couples and older children. 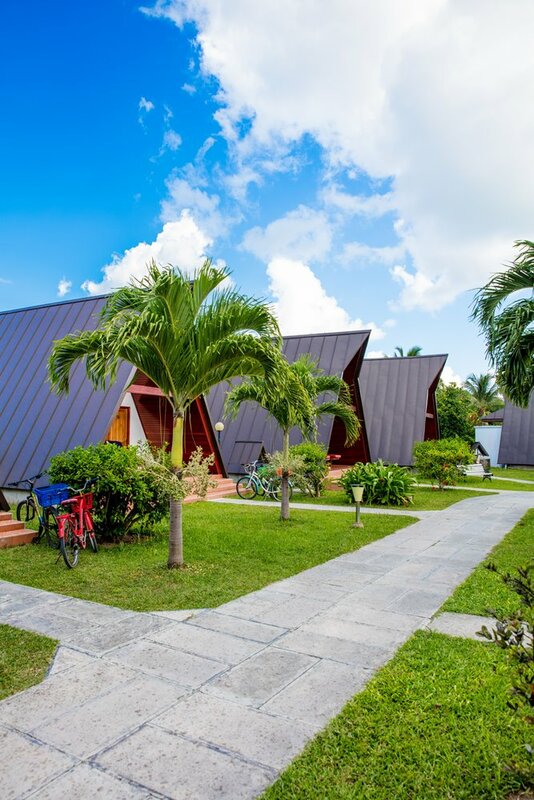 Built from local Takamaka wood and with wooden roofs, they all have an en-suite double bedroom on the ground floor, and a small mezzanine deck with a single bed for older children. 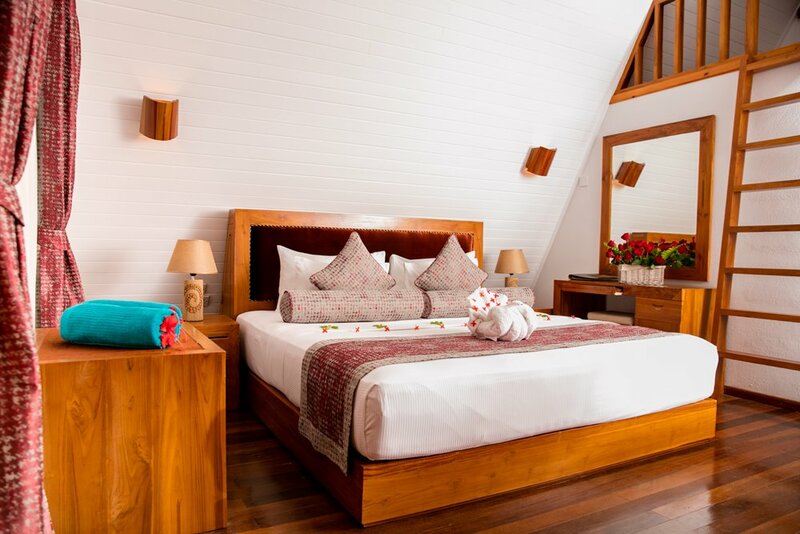 The interiors have a light and airy feel, with natural wooden flooring. 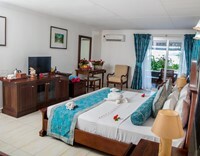 The Beach House suites are located on two levels in a traditional Creole Plantation house right by the beach. 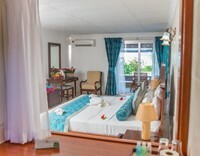 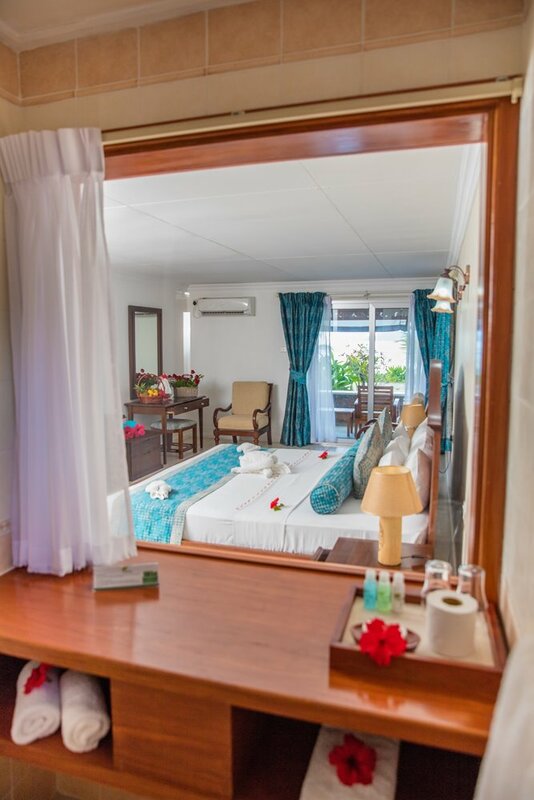 The upper level suites provide stunning sea views across the beach and the neighboring island of Praslin, while the ground floor suites are on beach level. 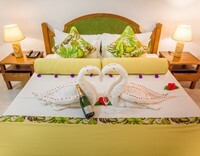 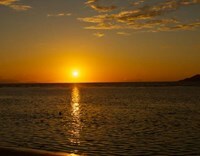 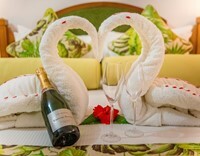 The Beach House caters for couples and families who can be accommodated in two bedroom suites. 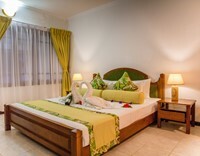 The close proximity to the beach makes this accommodation very popular with families. 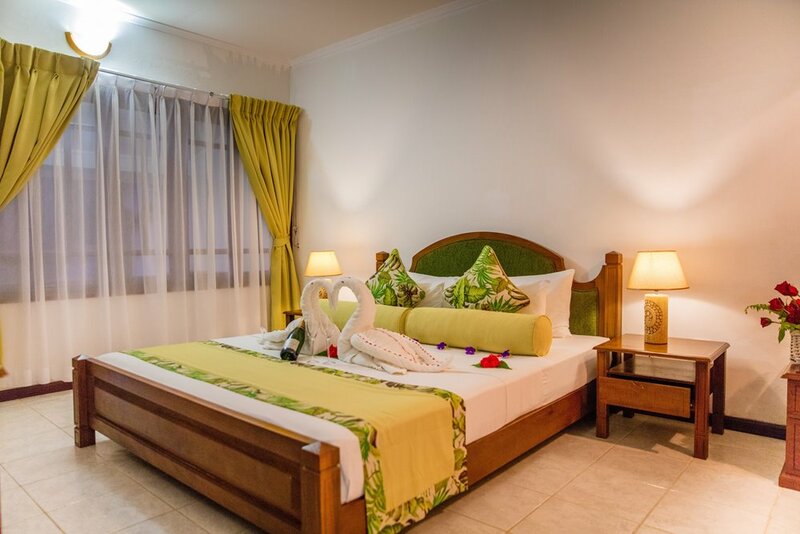 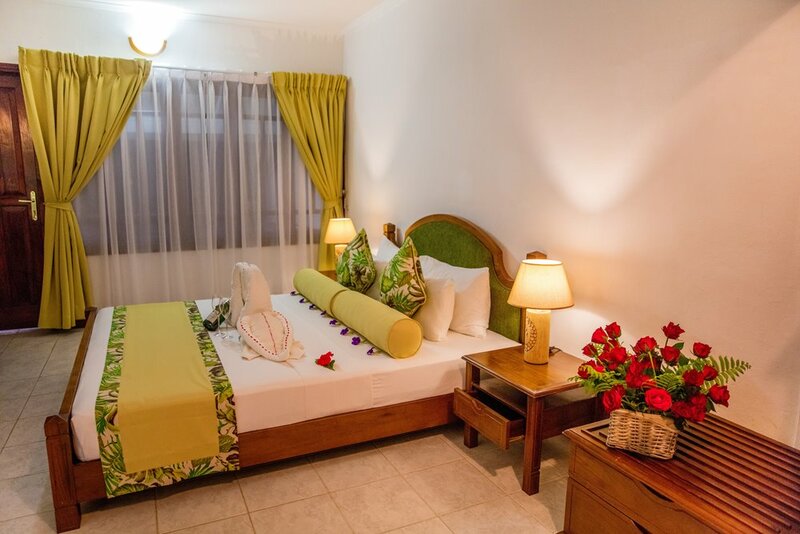 These well appointed terrace style rooms are located in a peaceful garden setting behind the Beach House. 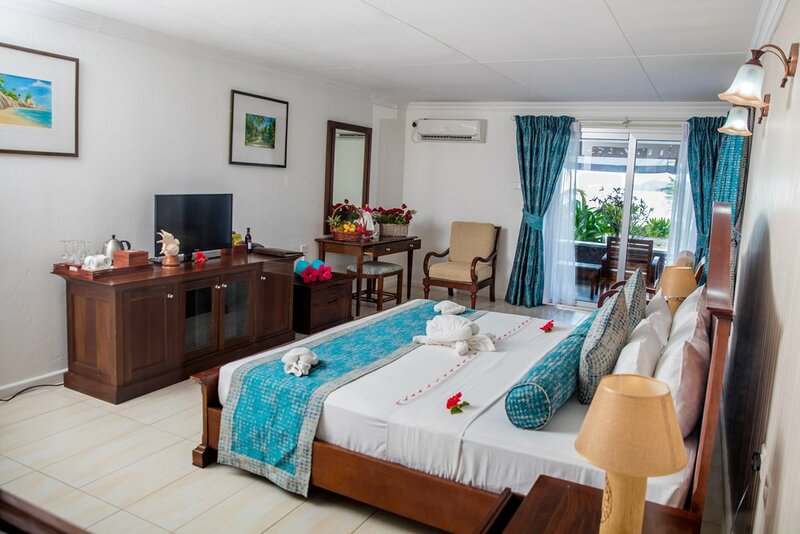 They offer simple, functional accommodation with pale floor tiles, whitewashed ceilings and matching timber furnishings evoking a typical Creole style room. 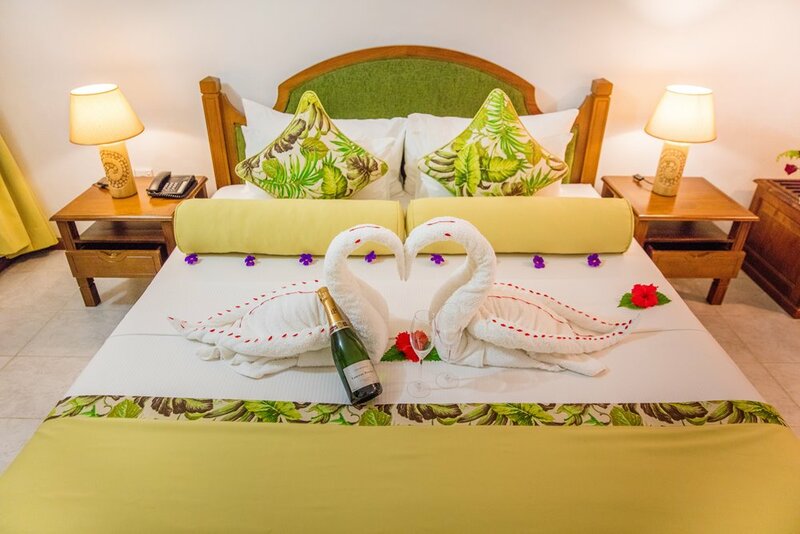 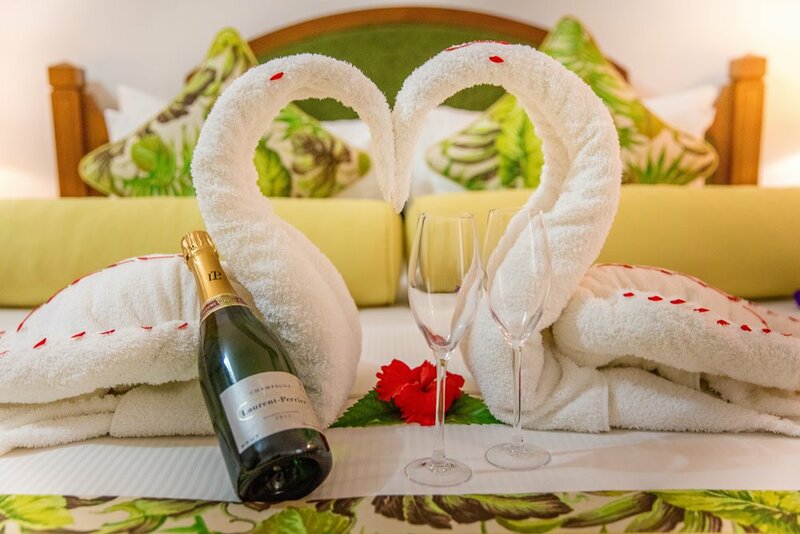 These rooms are ideal for couples and friends travelling together. 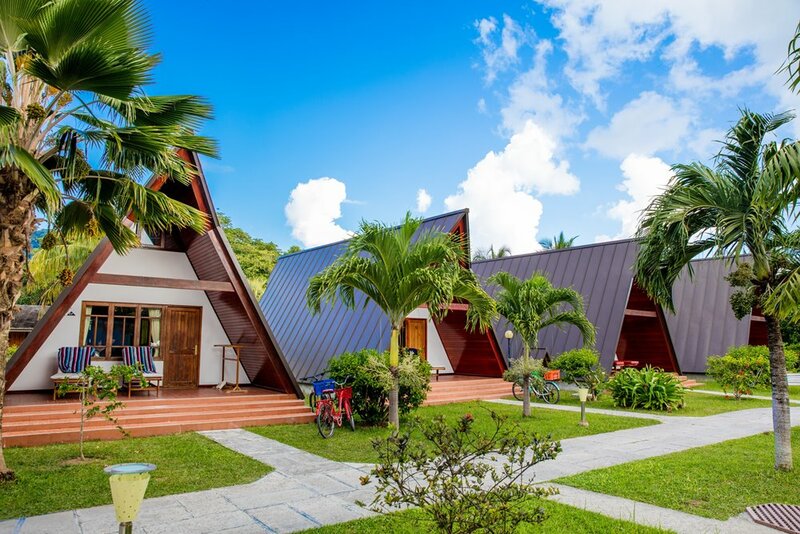 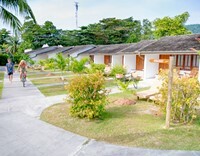 These bungalows are located in the L’Union Estate Park, adjacent to one of the most famous and photographed beach of “Anse Source d’Argent”. 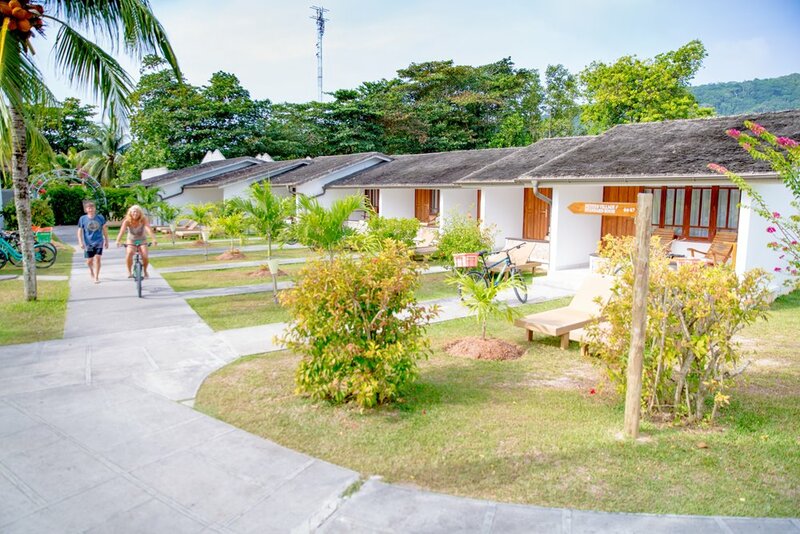 These spacious beach bungalows enjoy exclusivity and the tranquility of the park and its natural surroundings. 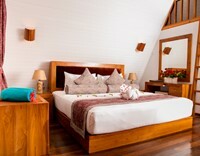 Each accommodation has two separate bedrooms with en-suite facilities, living room and kitchen. 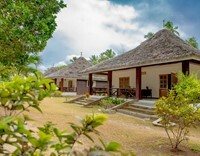 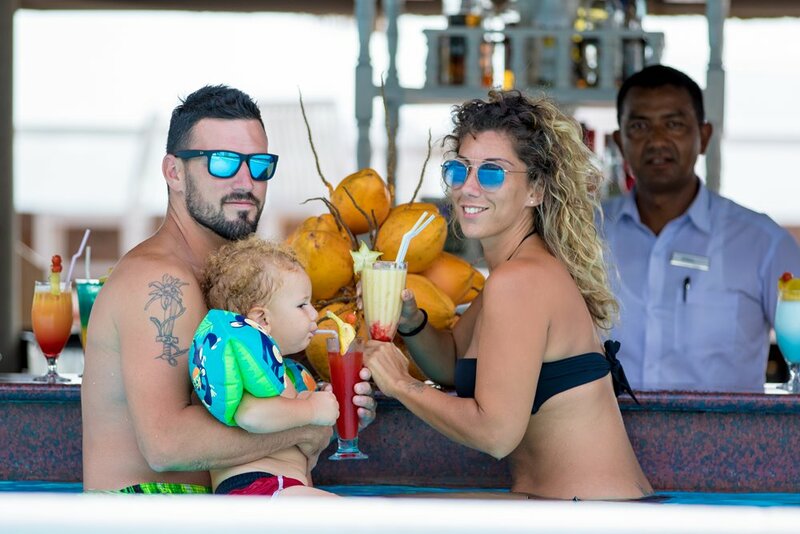 They are the ideal choice for families and those in search of the ultimate peaceful holiday. 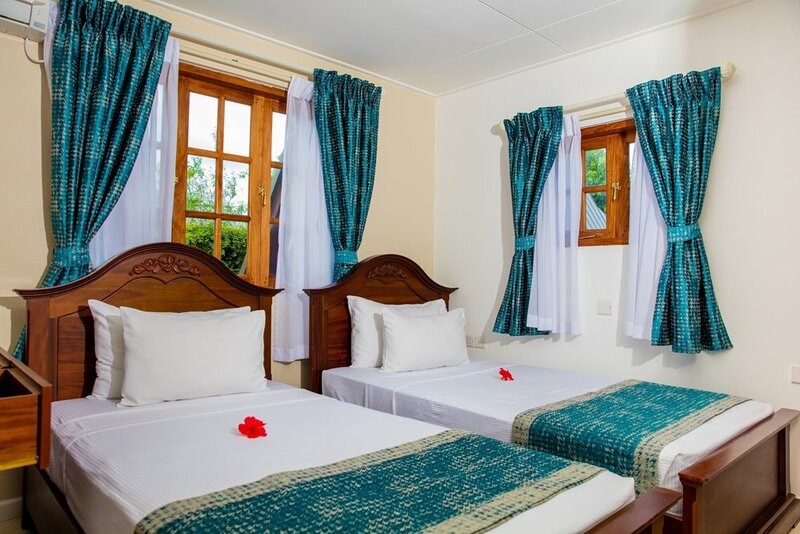 All the above accommodation is equipped with air conditioning, separate shower and bath, mini-bar, tea and coffee making facilities, TV and telephone. 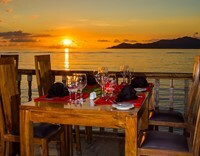 Set right on the beachfront the main restaurant offers one of the most memorable dining experiences on La Digue. 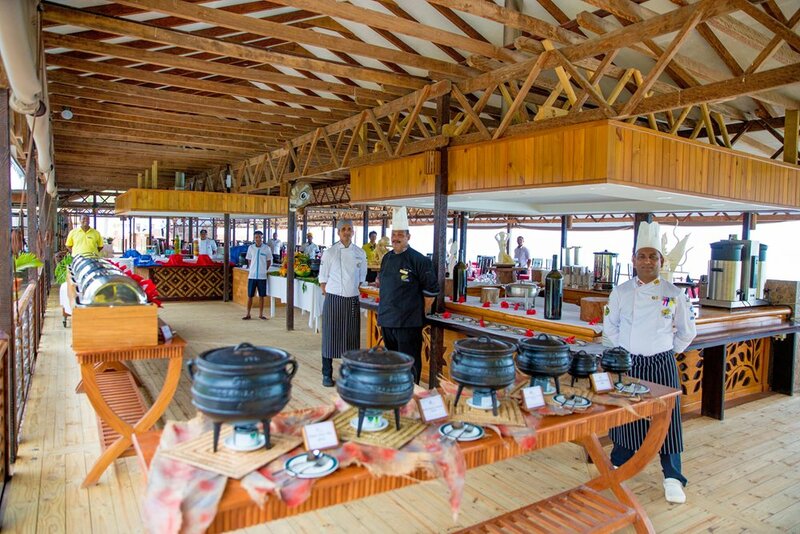 With the sound of lapping waves, it is the perfect venue for an early morning breakfast. 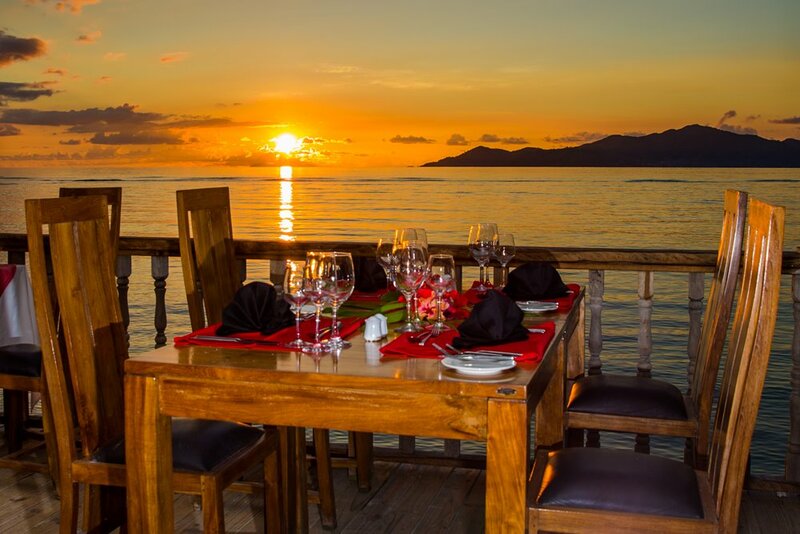 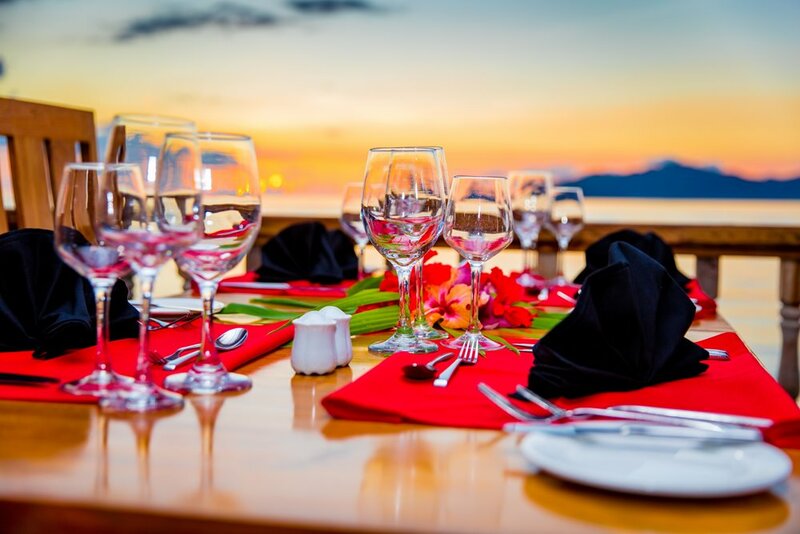 The dusk atmosphere is infused with stunning sunsets and candle lit tables looking onto the moonlit ocean adds a romantic touch to the evenings. 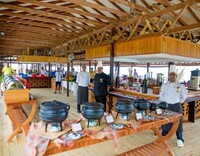 “Marmit” Restaurant caters for a variety of cuisines with various themed buffets and delectable ‘table d’hôte” menus with live entertainment by local folkloric groups at least three times a week. 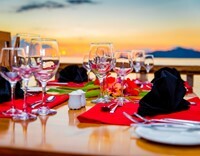 Set next to the magnificent pool this outlet serves lunchtime snacks such as salads, sandwiches, burgers and the Sea view terrace is the perfect meeting point for a sundowner. 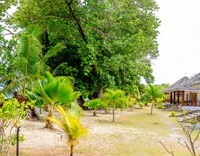 The unique Badamier tree provides ample shade for an al-fresco daytime dining experience. 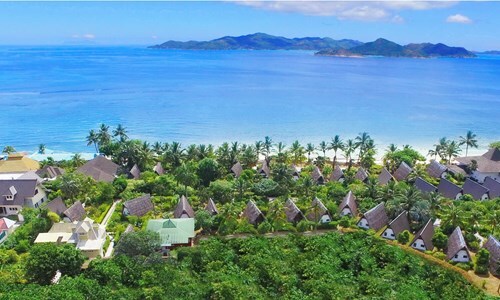 With sweeping views across the bay and islands beyond it is an ideal setting to while away the day. 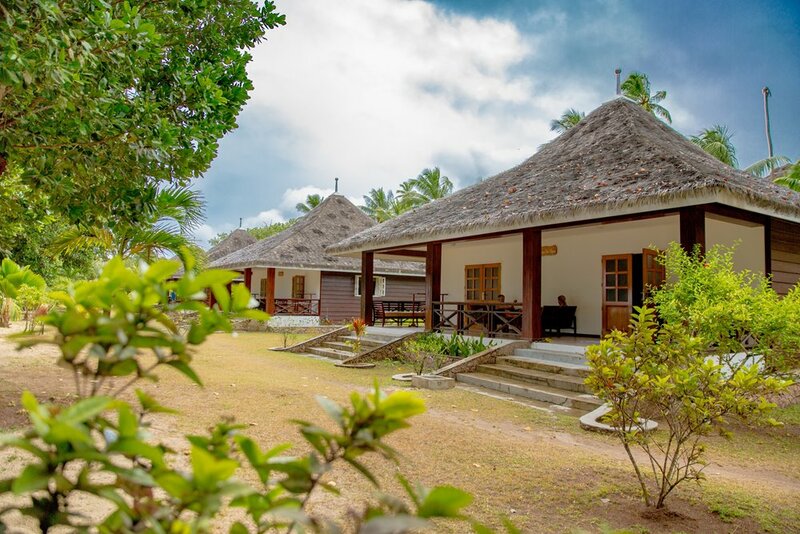 Our Spa offers a variety of massages ranging from Balinese massage to Aromatherapy Deep Tissue massage and a range of other treatments in a very peaceful and relaxed environment. 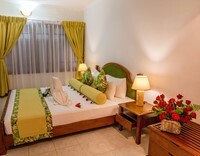 The products are exclusively made from local organic products. 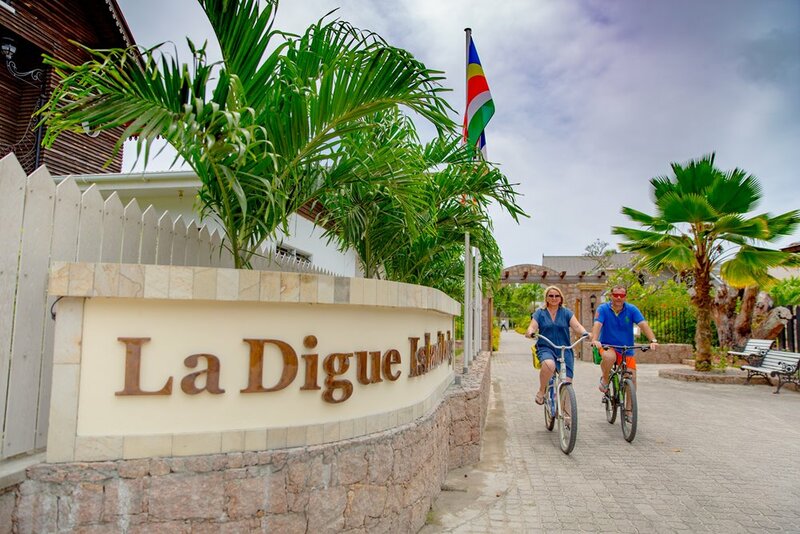 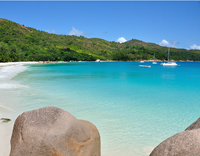 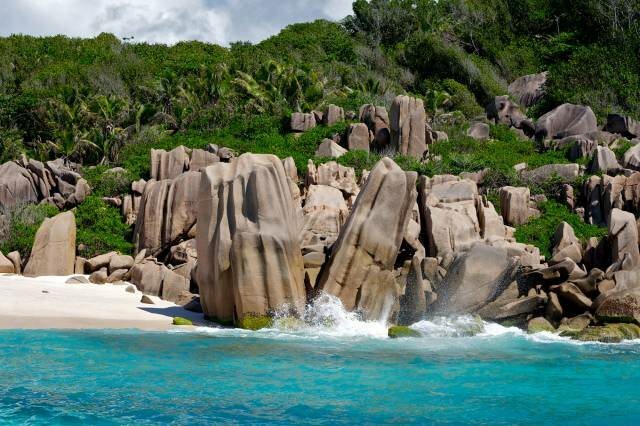 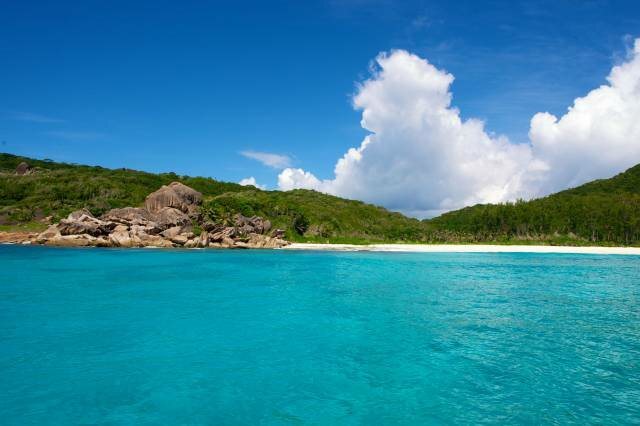 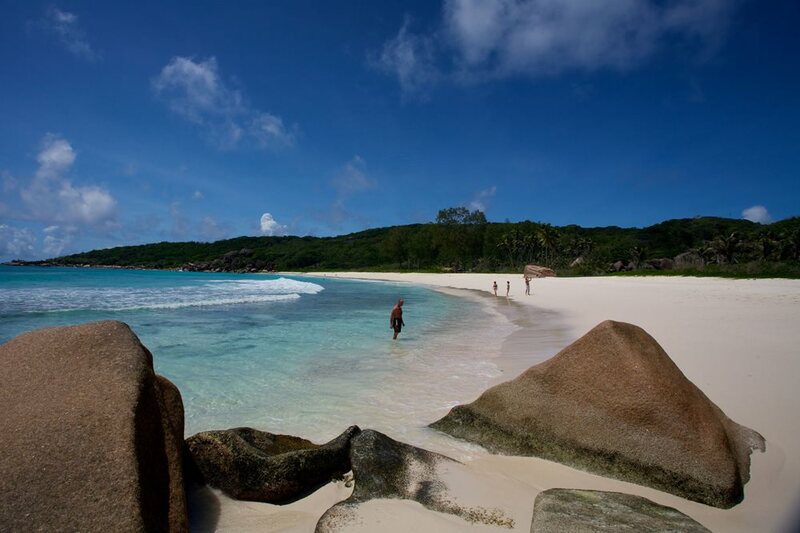 The following excursions can be arranged on request: snorkeling, fishing, tour round La Digue by boat and by bus, trail or hiking, sunset tours.